Sculpted curves create a sporty style for the 2017 Toyota Yaris Sedan. 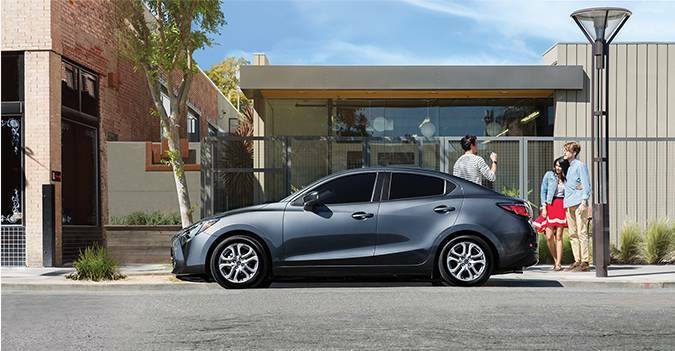 This four-door compact sedan offers seating for five and an energetic look. Choose between three trim levels: 6AT, 6MT and Premium 6AT. Choose from six bold body colours for the 2017 Toyota Yaris Sedan, including the pulse-stopping Pulse Red Metallic. A curved hood and roofline showcases the sporty side of the vehicle while angled headlamps and sculpted wheel arches enhance the athletic image. Available heated outside mirrors and fog lamps provide functionality to the design. Front and rear splash guards protect your vehicle from dings and scratches. Sink down into the available heated front seats which wrap you in warmth on cold winter days. At the same time, you have the option to carry passengers or haul more cargo with the 60/40 split folding rear seats. Push button start offers convenience while cruise control and air conditioning ensure a more relaxing drive. This model comes with power windows and power locks as well as illuminated entry. Feel safe in the 2017 Toyota Yaris Sedan thanks to the latest technology. An available backup camera makes backing up easier as you view the 7″ display. Easily connect to your smartphone through an array of connecting features, including an available display audio system that comes with four standard speakers or an upgrade of six speakers. Bluetooth connectivity makes it easy to talk with family and friends while keeping your focus on the road. Protect your 2017 Toyota Yaris Sedan with a hood deflector which wraps around the sides. This is just one of the accessories which can be added to the sedan to make it even better. No matter how you accessorize your new vehicle, genuine Toyota accessories are the preferred choice for an accurate fit. Peppy performance for the 2017 Toyota Yaris Sedan comes from a four-cylinder, which allows you to go further between fuel stops. This model features front-wheel drive with a tight turning radius to make managing your way through busy city streets a little less stressful. Your choice of a six-speed automatic or manual transmission suits your driving style perfectly. To make your journeys more enjoyable, this vehicle includes electric power steering and MacPherson struts on the front. The 2017 Toyota Yaris Sedan is a proven award winner for its value, efficiency and cost of ownership. 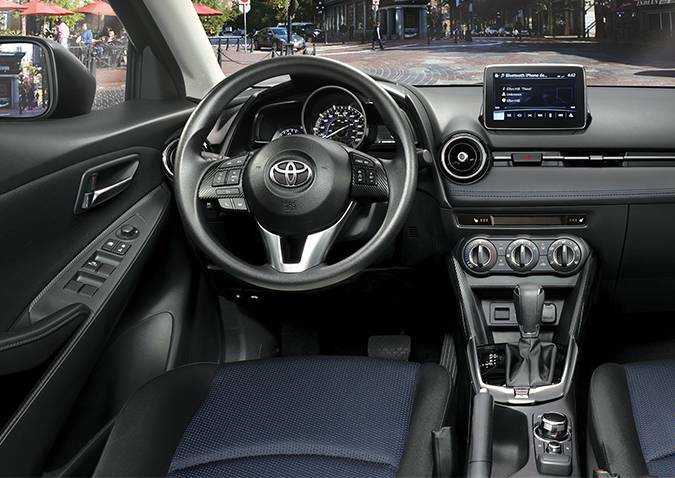 Feel safe behind the wheel wherever you go in the 2017 Toyota Yaris Sedan with all of its safety features. Every 2017 Toyota Yaris Sedan is covered by Toyota’s unbelievable warranty. Travel in style whether you’re driving around town, out to the country or across the province in the 2017 Toyota Yaris Sedan. 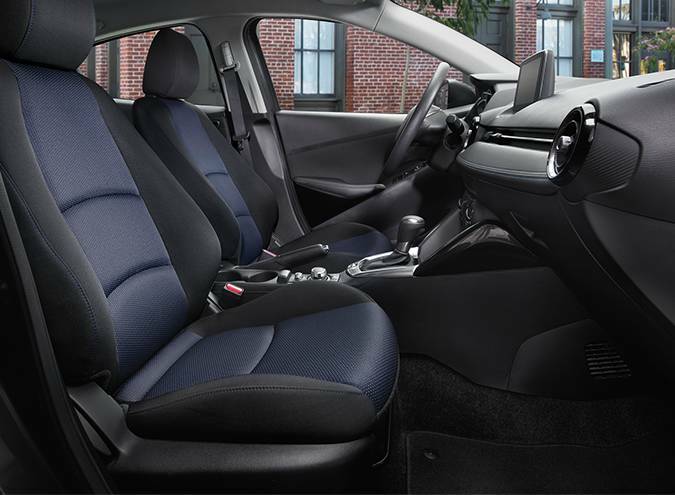 Sporty design combines with premium comfort to create a fun driving experience. Add in fun performance and modern technology for the ideal vehicle to suit your needs. 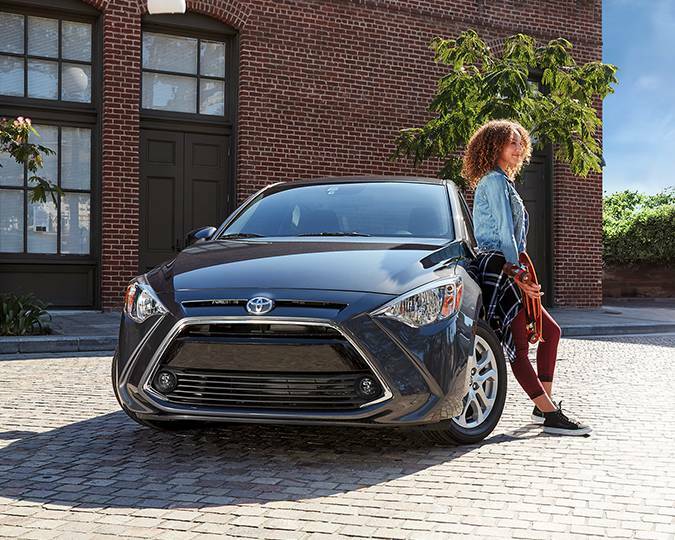 Stop in to Gateway Toyota to discover the 2017 Toyota Yaris Sedan. Talk to our sales staff and get behind the wheel of one of these fabulous models with a test drive. It only takes a few minutes checking out our inventory to discover why Bigger is Better at your local Edmonton Toyota Dealer – Gateway Toyota.